UPDATE 1-6-2013: A friend of mine directed me to several links pertaining to "Your Story Hour" products and, after reading through the information, I feel it is important to mention that this organization is owned and operated by Seventh-Day Adventists. 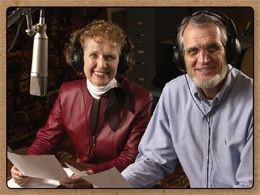 They do not admit to using SDA theology in their recordings. However, intenitional or not, there are times when it does present itself. While some of their stories are basic history dramatizations, and some are just stories with good morals, there are many that also intertwine the Bible with the writings of Ellen G. White, a woman who the Seventh-Day Adventists believe to be inspired by God as a prophet (even though her teachings do not match up with Biblical teachings). For more information, take a look at THIS BLOG POST by Andy Naselli. (Scroll down the page to read all the comments posted by former SDA church members.) In my opinion, if parents are serious about wanting to raise biblically literate children without causing unnecessary confusion, then I would suggest being very careful about introducing them to "Your Story Hour" and other SDA-affiliated ministries. YOUR STORY HOUR with Aunt Carole and Uncle Dan is "a global, non-profit, interfaith Christian educational organization working with children, youth and families of all denominations." Since 1949, their main vehicle for reaching children has been their radio broadcasts of character building stories. Children can be inspired to make sound choices by exposure to dramatized stories evidencing the positive results of developing character traits such as honesty, integrity, courage and faith. Your Story Hour exists to provide children with this exposure. Thousands of entertaining STORIES can be purchased on the website. Or, you can listen to full episodes of the most recent broadcasts for FREE at ONEPLACE.COM. CLUBHOUSE MAGAZINE - available online for FREE - a colorful magazine filled with stories, jokes, puzzles and quizzes. Read it online, or print it out. ADVENTURES IN THE HOLY BIBLE - 52 Online Bible lessons with quizzes, also available FREE to children. 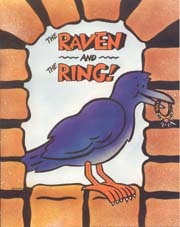 THE RAVEN & THE RING - a FREE printable coloring book to go along with the story of "The Raven and the Ring," which can be listened to at no charge. My children and I recently listened to this story about how a poor family chose honesty over provisions, and how God provided for their needs. We all enjoyed it.